Boeing executives were blindsided by Donald Trump's Tuesday comments about the cost of Air Force One, but those weren't the tweets that worried America's largest exporter. Many former and current Boeing executives say they're far more worried about Trump's antagonism toward China, the largest and most important growth market for the crown jewel of American manufacturing. "The vulnerability to China is pretty clear," said one former senior Boeing executive. 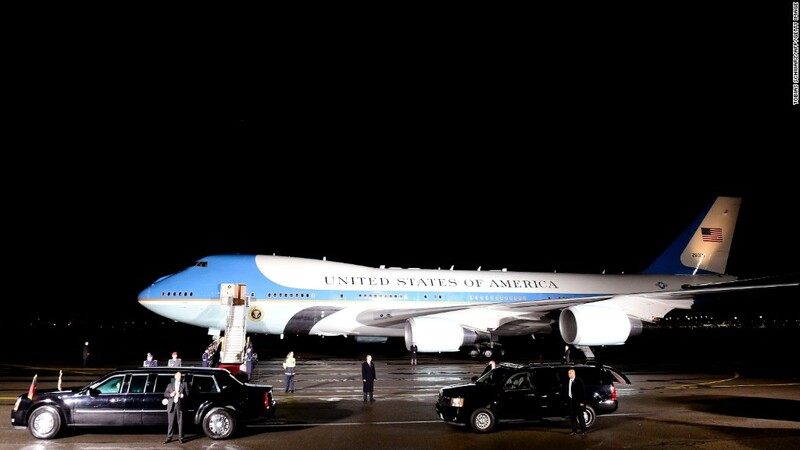 In contrast to the long term stakes over Boeing's future in China, the flap over the cost of Air Force One lasted 24 hours. Boeing would be a prime target in any retribution by China if Trump follows through on his campaign threat to impose a hefty tariff on Chinese imports. A shift of orders to Airbus would likely cause a rippling drop in output for Boeing, a loss of jobs, and, crucially, a loss of market share that would give Airbus the ability to lower prices and win other deals. One-quarter of the nearly 500 Boeing 737 jets delivered in 2015 went to Chinese airlines, serving a fast-growing middle class that's as large as the entire U.S. population. The market is worth a trillion dollars over the next 20 years. Everyday, Boeing's factories are filled with colorful jets for Chinese airlines that Americans won't recognize: Xiamen, 9 air, Donghai, Ruili, Hainan, Hebei, Shandong and Shenzhen. Starting with the unexpected congratulatory phone call with the President of Taiwan in the days that preceded the Air Force One tweet, Trump upended decades of U.S. foreign policy that tiptoed around the nation's relationship with Taiwan. The worry among current and former Boeing leaders is that increased antagonism toward China on trade or an even closer diplomatic posture toward Taiwan may have consequences for U.S. businesses - and Boeing has the most to lose. Around the aerospace industry, there remains uncertainty about which Trump will govern: The protectionist or the pragmatist. "I think it's all uncharted waters," said one Boeing customer who rents planes to China. In trying to interpret Trump, "I think we're going to get it wrong for a while." Boeing is no stranger to being caught in the middle of diplomatic tensions. A Boeing loss of a 2013 fighter deal in Brazil was largely attributed to leaked revelations that the U.S. had spied on the Brazilian president. U.S. and European sanctions on Russia in 2014 also threatened to disrupt the supply of Russian titanium used on Boeing's jetliners. "China is a different ballgame," said the former executive and orders are very sensitive to geopolitics. The U.S. has a "very delicate tightrope to walk and not impact our ability to sell." Boeing's position in the U.S. economy is without parallel. No other big company enjoys its unrivaled domestic monopoly status. It hasn't had a U.S. competitor since 1997 and the battlefield on which it fights European Airbus and a cadre of ascending players is global. Traditionally, the President of the United States has been Boeing's biggest booster at home and abroad. "I deserve a gold watch, because I'm selling this stuff all the time," President Obama told Boeing workers in 2012. "I will go anywhere in the world to open up new markets for American products." And Obama has. Big Boeing orders have featured prominently as part of state visits between China and the U.S.
China has bet roughly equally on new airliners from Europe and the U.S. to build its airlines. At the same time, China is cultivating its own commercial airliner industry to one day compete with Boeing and Airbus. Expanding manufacturing in a hot market is a hallmark of the global aerospace business. In the coming years, Boeing plans to open a facility near Shanghai to install airline cabins inside of 737s for China's airlines. Airbus already assembles competing A320 jets in China and recently opened a similar plant in the U.S.
Boeing has long said that it isn't opening final assembly plants outside the U.S. and the China facility and its plans there support thousands of jobs stateside with the increasing orders. No date for its opening has been disclosed.